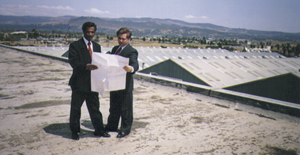 SWEPCO’s sales strategies and marketing plans have been proven through years of use and improvement. We know who the best prospects are. We know what they are likely to need. We know what they want. And we know how to serve them. But, most importantly, we know how to teach all this to you. Comprehensive training, literature and even field training are available on a continuing basis. 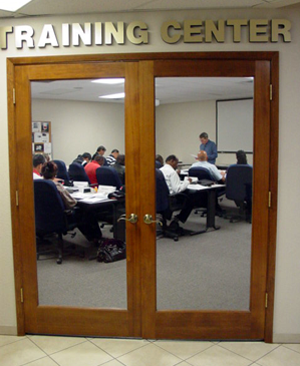 Our training programs are the best in this industry and have made people and companies successful throughout the world. We are experts at what we do and we can teach you to be one, too. If you become associated with Southwestern Petroleum we will do everything in our power to maximize your sales and earnings potential. If you are in the United States, Canada and Europe, you don’t have to bother with billings or shipping or any of the other many details associated with the movement of commercial goods. You just send or fax us your orders and we handle the rest…often on the same day we receive your order. And while we may extend credit to your Customers, you will get your share right up front, even before we get paid. If you sell on a commission basis, your check is processed as soon as the order is approved for shipment. If you are a dealer or a distributor in our export markets buying for your own account, you will get a healthy discount off standard pricing and additional quantity discounts for volume purchases. Either way, you are the first to get paid. But our commitment goes beyond initial training. Southwestern believes that a strong technical base is necessary to maintain our leadership role in this industry. As a consequence, you will have access to engineering support services for assistance with architects or other planners of special projects. It is not at all uncommon for us to design a custom roof system for a large scale project or special problem roof. And our support services can even be extended to include on-site assistance. The point is that, with our technical expertise behind you, you don’t have to be afraid to go after the big or unusual high profit projects. Continuing technical and sales support is available through direct contact with our experienced and dedicated staff and through regular mailings and training opportunities designed to make sure our Sales Representatives, Dealers and Distributors are the best-informed professionals in the world.